WE ARE GOING TO BERLIN, GERMANY! If you have been reading our blog posts on the newly updated website, you will know that in our first ‘Welcome to Eames.com’ blog post, we talked about a number of projects that we were going to be involved in. One of those projects being, going to more events and visiting you guys! Of course, we are happy for you to check out the products that are posted by sellers in our marketplace, but we felt that it was also important for you to see some of the products upfront and close. As a result, we are happy to announce that we will be attending Design Börse Berlin 2018! Design Börse Berlin is a vintage design trade show where exhibitors will showcase their designs and vintage items to the 5,000 visitors that are expected to attend the event. This specific event is well known for how diverse it is in terms of the variety of items that are showcased. Design Börse host a number of different stalls and stands where art decor, recent and mid-century pieces are placed for people to see and purchase. The show is in the heart of the city where over 80 exhibitors are likely to attend, including your friends at Eames.com. And we are bringing a whole heap of amazing Eames pieces. Design Börse is a “solid” annual event that is definitely one that brings excitement to the thousands of collectors from the European vintage scene, and we are happy to be a part of it. Eames.com will be showcasing a number of Eames products that you guys have shown a lot of interest towards, all over our social media pages! Some of the items you will find at the event are; The Ochre RAR, Black OTW, Seafoam DSW, Blue Vinyl Upholstery White RAR and many more Eames pieces. We will have our specialists at the show, so feel free to ask as many questions as you want about the items you like before you purchase. In addition to this, we will bring a number of different ranges, generations and styles of furniture for you to choose from. Some items, we haven't even posted on our social media pages yet so ask us about those! Our aim is to ensure that you walk away with the items that you want, along with gaining knowledge of what it is that you have bought. You can also try the items before you buy them, which is something we've been looking forward to. The event will take place at Loewe Hall which is located on the 2nd floor of Berlin's central Moabit classic brick industrial building. It was formally known as Maschinenhalle. The event will kick off on November the 16th and will run through till the 18th of November. The event starts from Friday the 16th of November at 5:30 pm and it is open till 9:30 pm. This is an open preview which will give you an idea as to the different exhibitors that are there and you also get first dibs on the limited items, due to it being the first day! Admission 10€ = 3 day ticket. 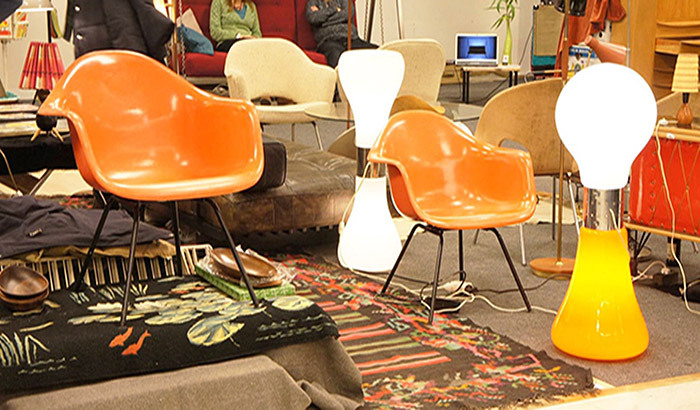 So make sure you come and see us and get your hands on some of the authentic Eames pieces, first! The event then starts again on Saturday the 17th of November from 12:00 pm till 8:00 pm. 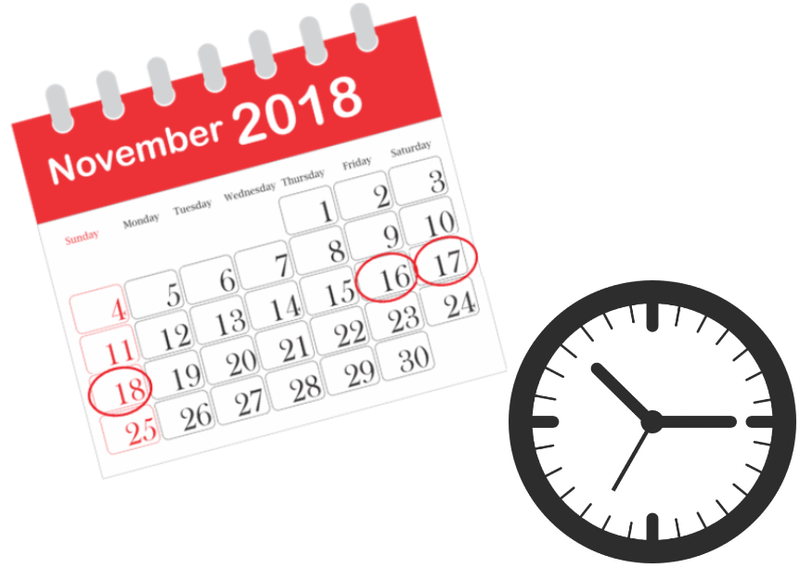 The final day is on Sunday the 18th of November from 10:00 am till 6:00 pm. Both of these days are 5€ each if you wish to visit on the day. Don't forget to come and say Hi! Once we finish up at the show, we will release content about our experience at Design Börse Berlin 2018, and also a upload a post-event blog post. Not only will this enable you to see how the event was for us, but it may allow you to gain more interest so you can attend more events that we are invited to in the future! We are incredibly excited about being at the show and we want to meet every one of you who will be attending, so pop over and say hello! It will be nice to put a face to those lovely comments that a lot of you send to us on our social media pages. Follow us on Instagram, Twitter, Facebook and Pinterest to see some of the cool content we will be posting while we are at the show! The links are at the bottom of the page. We hope you enjoyed this week's blog!